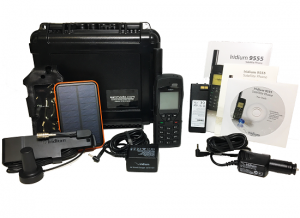 This deluxe solar package is a great addition to your existing satellite phone emergency kit. 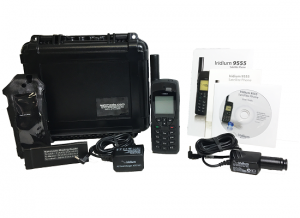 It includes (1) a watertight hard case with fully customizable pluck-n-pick foam inside, (2) a solar battery pack that boasts 100,000 mAh, and (3) a USB charging cable that fits the Iridium 9505a, 9555, 9575, and PTT satellite phones. T5000 Waterproof Hard Case – The T5000 hard case, by S3, is the perfect size and shape to accommodate your satellite phone and basic accessories. It is watertight, rugged, and lightweight making the T5000 a very popular choice. 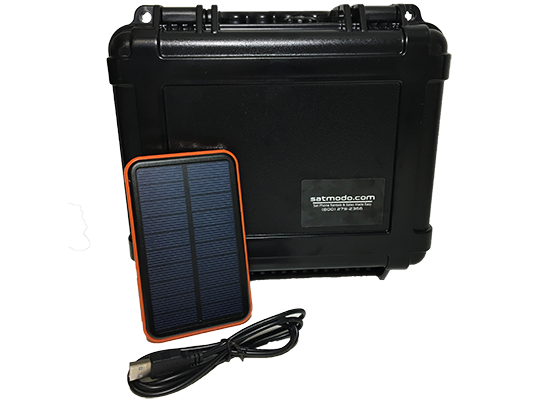 Solar Battery Pack – This multi-function solar charger, with internal battery, has a capacity of 100,000 mAh and an output of DC 5.0V, 2.1A. It can be used to charge any small electronics with a USB connection, including your Iridium 9555 satellite phone! USB Iridium Charging Cable – This USB charger is designed for the Iridium 9505A, 9555, 9575, and PTT satellite phones. 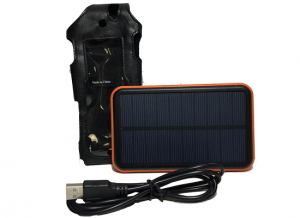 It is also fully compatible with the solar battery pack that comes with this kit.